At first glance, The Muse presents as a carefully constructed novel composed of six distinct parts each of which is titled and separated into time frames – set in 1936 and 1967. Upon further examination, the reader might notice that the chapters set in 1936 are numbered sequentially with Roman numerals while the ones set in 1967 are numbered with Arabic numerals. The final chapter is an afterward. Moreover, the last element is a bibliography that attests to the author’s immersion in the lives and events of her characters. Thoughtful and elegant book design is integral to the experience of the novel contained between its covers. The Muse delights the reader with illustrated pages that define each part. The illustrations are black, white and grey tone depictions of paint on canvas with a type font typical of the 1930s era. They serve as a reminder that the underlying theme of the tale is the convoluted history a work of visual art may have hidden in the daubs of paint applied to the canvas. Author Jesse Burton has written a most engaging tale about two women of artistic talent who endure deeply emotional journeys for the sake of their work. Odelle Bastien, an emigre to London from Port of Spain, Trinidad is stuck in a dead end job at a shoe store. Odelle and her best friend, Cynthia, have shared a flat for five years. Cynthia encourages Odelle to pursue her gift of writing. The chapters that are narrated by Odelle are set in 1967. Olive Schloss lives in the bucolic countryside of pre-civil war Spain near Malaga, Southern Spain. Her father, Harold Schloss, is a Jewish art dealer who only sees value in the paintings created by men. Olive yearns for success and acknowledgement as she paints with her heart and soul in the attic of the rented house she, her father and beautiful mother, Sarah, occupy. Their chapters are narrated in the third person and are, of course, set in 1936. As each life contains a bit of mystery, so do the lives of Odelle and Olive. Rather than a procedural “whodunit”, this book unfolds organically and weaves back upon itself. Author Burton is in her mid-thirties and by most standards rather young to have crafted such an elegant tale. There’s no need to rush through the pages. The experience is well worth savoring. 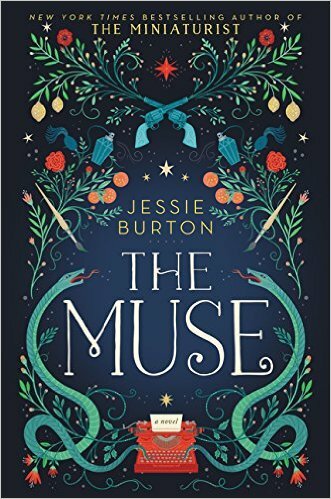 The Muse was released on July 26, 2016. 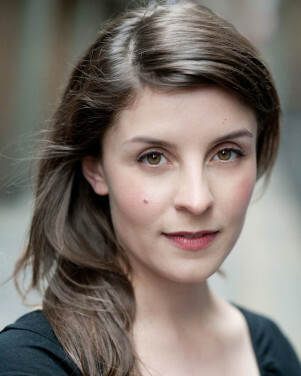 Jesse Burton is also the author of The Miniaturist, a New York Times bestselling novel. There is a big difference between watching an hour-long TV show about compulsive hoarding and living with a close relative whose behavior has literally squeezed you out. 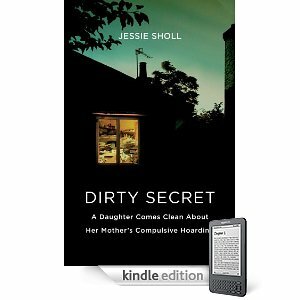 Author Jessie Sholl is an essayist who has written a touching and engaging memoir about her relationship with her mother, a compulsive hoarder. Her childhood memories and playground embarrassments are all too real and pitiful. No, this is not a sob story or a revenge piece. It is Sholl’s declaration of acceptance of reality and acknowledgment of a fact that she has been stuffing away into dark places in her soul for way too long. Sholl’s tale is calmly set forth in a measured voice. There are no wild moments of over-the-top drama as are shown on A&E’s Hoarders show or The Style Network’s Clean House. Nor is there a miracle cure after the trash haulers roll away from the house. Rather, the ongoing, really relentless nature of her mother’s disease forms the backdrop for the disintegration of a family. This reviewer thinks kudos are due to Sholl for her willingness to travel from New York to Minneapolis at a time when her mom is diagnosed with cancer. Cancer is daunting enough without the prospect of caring for someone in a house overrun with hoarded stuff. Between the long-term hoarding and the newly diagnosed cancer, there are more than enough challenges to be dealt with in a relatively short stay. Sholl seems to be a very gracious person. Her father and stepmother are portrayed as the saving grace in this scenario. The background material, bibliography and discussion points round out an excellent presentation of hoarding. If someone in your life has this condition, Dirty Secret is a highly recommended read. It is a balanced blend of reality and compassion.